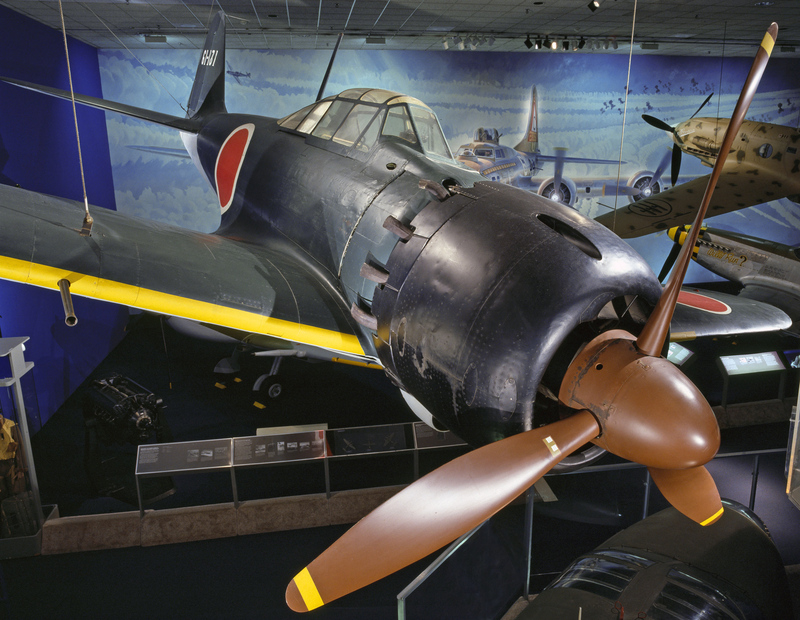 The Mitsubishi A6M5 Reisen (Zero Fighter) Model 52 ZEKE on display in the National Air and Space Museum came from a group of Japanese aircraft captured on Saipan Island in April 1944. 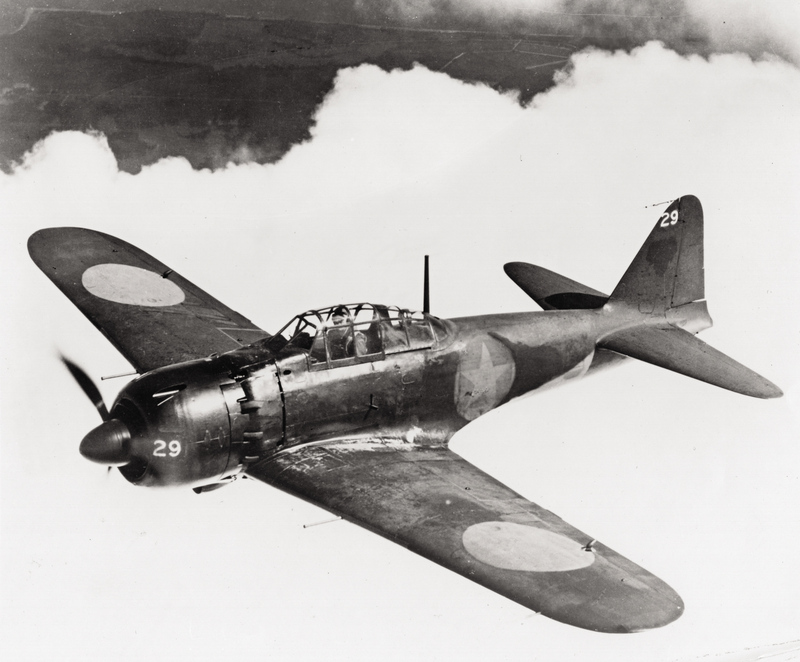 No other aircraft surpasses the Mitsubishi A6M Reisen ("ree-sin," Japanese for Zero Fighter) as the symbol of Japanese air power during World War II. Mitsubishi designed the Zero fighter but co-produced the airplane with Nakajima. The two companies built more than 10,000 Zeros between March 1939 and August 1945. Design work began in 1937 when the Japanese Navy staff directed Mitsubishi and Nakajima to submit proposals for a new aircraft to replace the Mitsubishi A5M carrier fighter (Allied codename CLAUDE). Combat trials began in China during July 1940 and by fall, Zero pilots felled nearly 100 Chinese aircraft for the loss of only two Zeros to friendly fire. We believe the A6M5 Zero Model 52 on display in the National Air and Space Museum came from a group of Japanese aircraft captured on Saipan Island in April 1944. Navy personnel removed 12 late-model Zeros from the island and sent them to the United States for evaluation. The earliest records pertaining to the Museum's Zero show that it was evaluated in 1944 at Wright Field, Ohio, and the following year at Eglin Field, Florida. No other aircraft surpasses the Mitsubishi A6M Reisen ("rye-sin," Japanese for Zero Fighter) as the symbol of Japanese air power during World War II. Mitsubishi designed the Zero fighter but co-produced the airplane with Nakajima. The two companies built more than 10,000 Zeros between March 1939 and August 1945. Design work began in 1937 when the Japanese Navy staff directed Mitsubishi and Nakajima to submit proposals for a new aircraft to replace the Mitsubishi A5M carrier fighter (Allied codename CLAUDE). Combat trials began in China during July 1940 and by fall, Zero pilots felled nearly 100 Chinese aircraft for the loss of only two Zeros to friendly fire. Japanese naval aviators flew 328 combat-ready A6M2 Reisens against American forces at Pearl Harbor and in the Philippines. The Reisen outclassed all Allied fighter aircraft for the first six months of the war until American carrier forces stopped the Japanese in the Coral Sea and at Midway in May and June 1942, respectively. The loss of four Japanese aircraft carriers at Midway underscored a deadly trend. The Japanese were losing experienced pilots and aircraft faster than they could replace them. Yet for almost two more years the ZEKE, as the Allies code-named it, remained an ominous threat. Key to the Zero's potent performance was weight. In May 1937, the Japanese naval staff issued preliminary specifications for a fighter to fly from aircraft carriers. To satisfy these demanding requirements, Mitsubishi designer Jiro Horikoshi and his team focused specifically on reducing airframe weight as much as possible. Horikoshi used a new lightweight aluminum alloy developed in Japan and he chose to omit armor plate and self-sealing fuel tanks from the design. These protective devices weighed hundred of kilograms and could not be incorporated if Mitsubishi hoped to meet the performance requirements specified by the navy. Yet the lack of these components eventually became the Zero's undoing. The Reisen was considerably lighter than American fighters. It could climb faster and out-maneuver them in close combat or 'dog fighting.' But as combat experience mounted and training improved, the American tactics began to change. U. S. Navy and Army pilots avoided the turning and looping dogfight and began to engage the Zeros only when they could surprise the Japanese pilots by attacking with a height or speed advantage. This type of attack consisted of a single, straight pass with guns blazing. The American pilot then continued away from the Zero using his superior speed to zoom to safety or circle around at a distance and attack again. This idea and other tactics transformed pilots flying the Grumman F4F Wildcat (once considered totally obsolete against the Zero) into formidable opponents more than capable of destroying the Japanese fighter. The Allies began fielding aircraft superior to the Zero in 1942. Lockheed chief designer, Kelly Johnson, crafted the airplane that eventually destroyed more Japanese aircraft than any other, the Lockheed P-38 Lightning. U. S. Army Air Forces Lightning pilots downed the first Zeros late in 1942, using their superior speed and climbing performance. The F6F-3 Hellcat entered combat in August 1943 and the Pratt & Whitney R-2800 engine that propelled it also gave the Hellcat pilot enough speed and climb to engage or avoid the Zero without regard for the tactical situation. Japan's aviation industry continued to develop advanced fighters, but a number of problems plagued the complex process of perfecting and fielding these new airplanes and only limited numbers saw action. Consequently, the Zero remained in production throughout the war. The Japanese built a total of 11,291 Zeros and sub-variants related to it, more than any other Japanese warplane. -At Anacostia Naval Air Station across the river from Washington, D. C., September 1, 1944; 3:10 flying time (Allied) on the airplane by October 20, 1944. -At Eglin Field, Florida, January 3, 1945 to February 9, 1945. -At Wright Field, Dayton, Ohio, April 18, 1945 to February 13, 1946. As of July 13, 1945, this Zero had flown for 93 hours and 15 minutes in Allied hands. -To Freeman Field, Indiana, by March 4, 1946, and departed Freeman Field on June 14, 1946. While in U. S. Navy and Army Air Forces custody, the aircraft was stripped of all markings and colors. Today, the only remaining clue to the original identity of the airplane is the manufacturer's serial number 4340, etched and painted on major components. 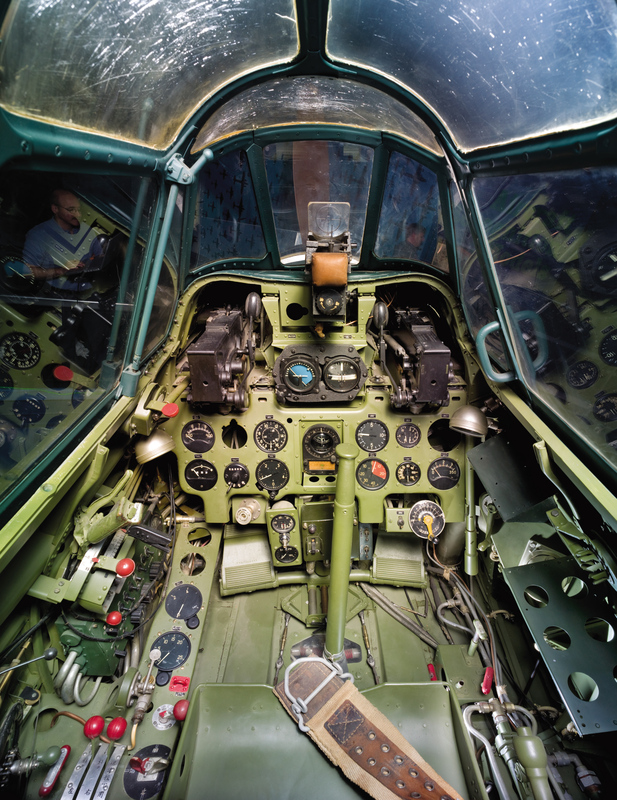 To prepare artifacts for exhibit in the new National Air and Space Museum building on the national Mall, technicians restored the Zero from August 1974 to July 1975. They discovered several Japanese messages scribed inside the metal skin of the aft fuselage: "Pray for absolute victory; Win the air war; Devastation of the American and the British; New Years Day, 1944." A rivet bucking bar tool and a U. S. Navy flashlight were also discovered inside the left wing. Curators selected the markings of an aircraft from the 261st Naval Air Corps because an aircraft of this unit was captured at Saipan. The 261st NAC was more commonly known as the Tiger Corps. It was activated on June 1, 1943, and was soon assigned to the newly organized 1st Air Fleet. The Tiger Corps moved to the Marianas on February 16, 1944, and participated in some of the fiercest fighting of the war. Aluminum airframe with steel, iron, magnesium and other fittings; steel engine.